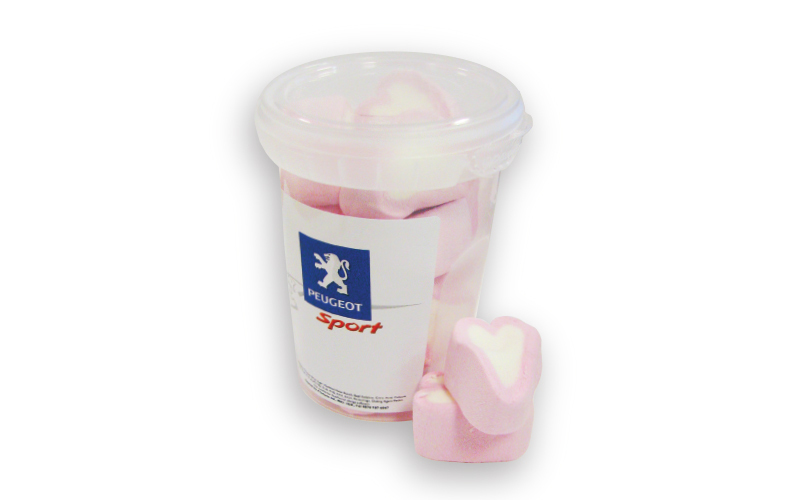 Plastic ‘cup holder sized’ tub containing Heart Shaped Mallows, personalised with a digitally printed label. If Heart Mallows aren’t your thing take a look at our Sweet Tub for alternative confectionery. The cup is recyclable or re-usable meaning your promotional merchandise could be on someone’s desk as a pen pot, continuing to promote your brand!